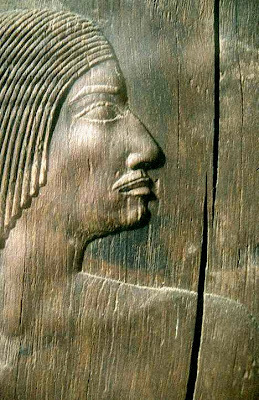 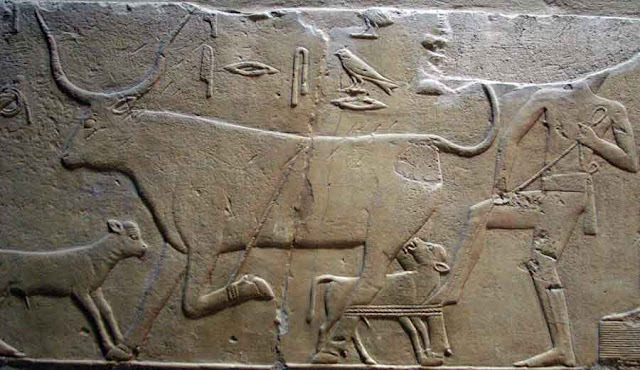 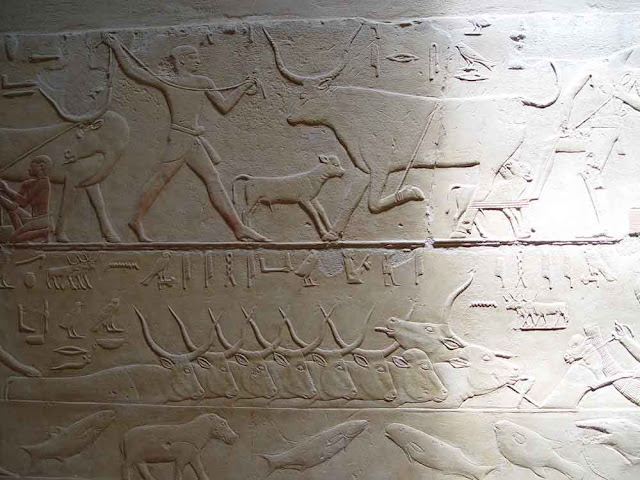 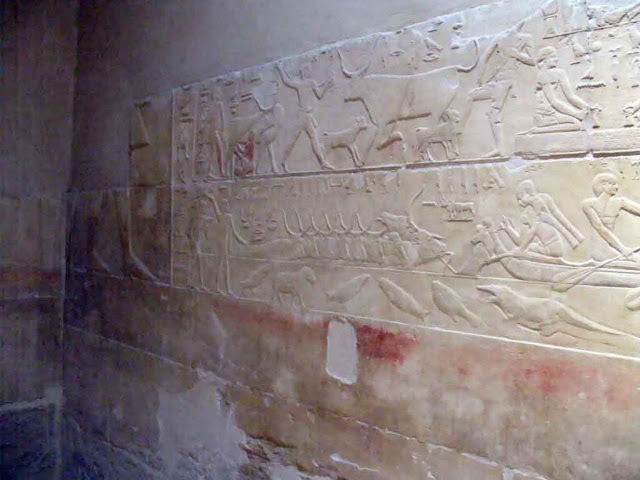 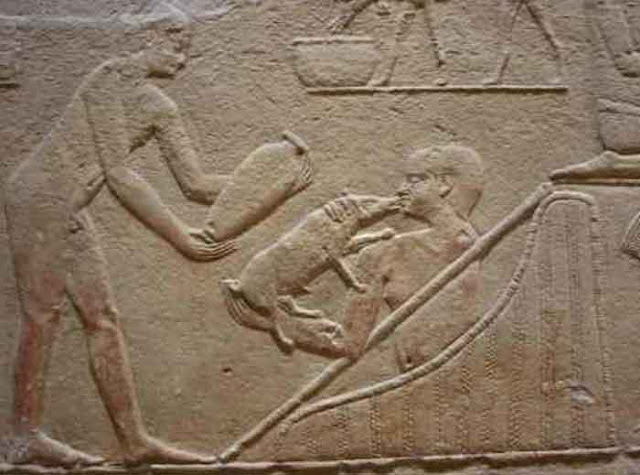 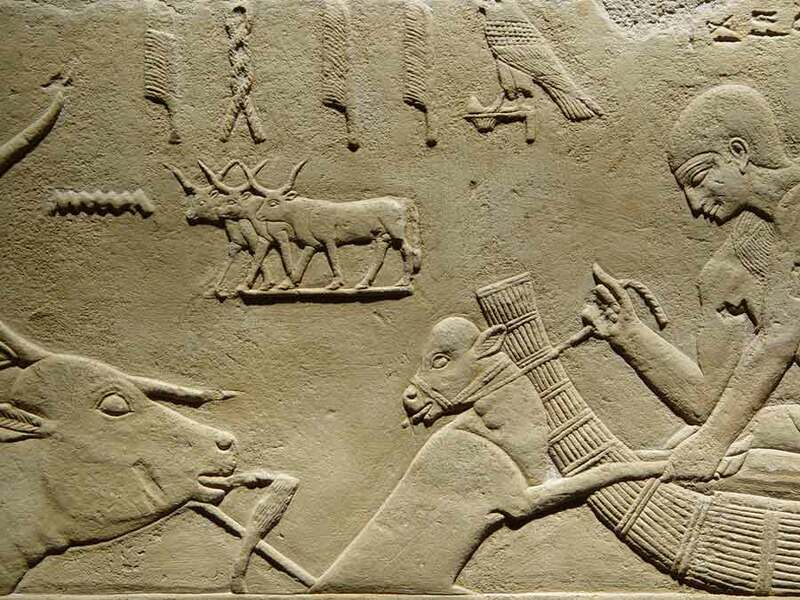 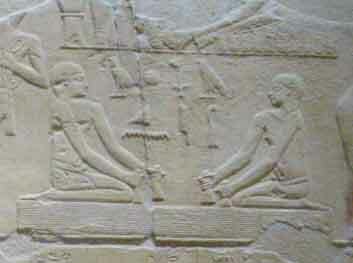 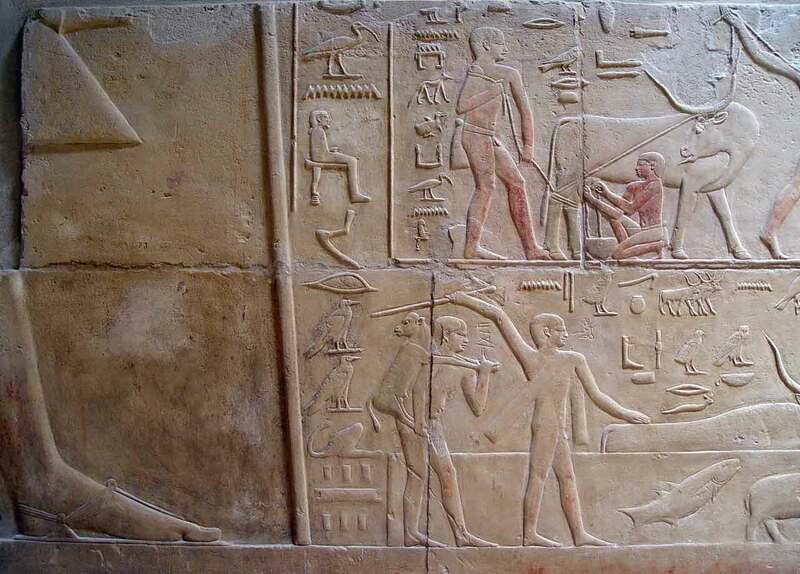 Kagemni is found represented at heroic height on this wall, in a pastoral scene of breeding and taking care of the herds. 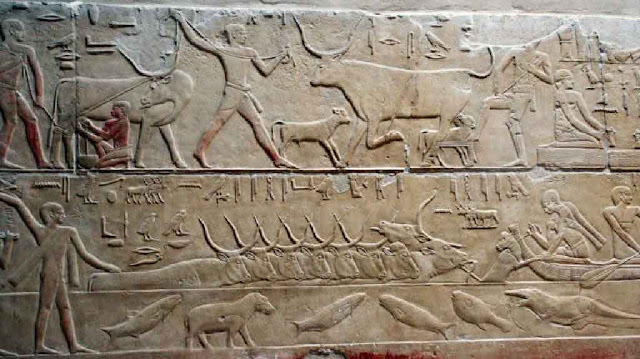 Crossing the ford is dangerous, not just for the beasts, but also for the men. 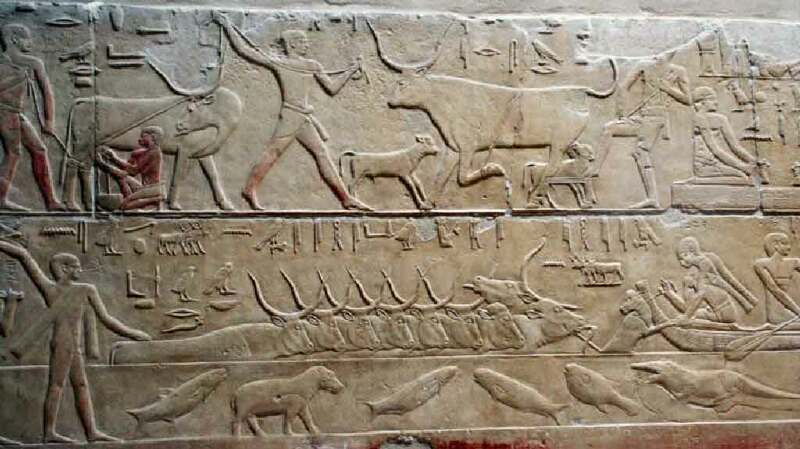 Indeed, besides the usual fauna of fishes, there are crocodiles and hippos to look out for.